I quickly jumped out of our bed. Holding my tears back, I bent down and whispered to my hubby, “Hunnie, give me 20 minutes, am coming.” I kissed his cheek, took the iPad that was on the floor, and went to the living room. I was soaked in deep and heavy emotions. My hubby followed me. He looked deeply troubled. A gush of tears streamed down my eyes. We were used to staying up late in the night watching movies, catching up, giggling and tickling each other till 1 am. We had spontaneous travels, then a season of transition came. We were officially gifted. We were now up in the middle of the night, not tickling each other, but holding our baby in turns. It’s been two undoubtedly great years of parenting with my husband and wow…. It’s been a real ride. From the night shifts, to the back massages, tummy rubs, back rubs, numerous diaper changes, expressing milk, nursing, clinics, outbursts and simply holding our little one in the quiet of the night. oh! How could i forget this, shopping for clothes which i would comfortably nurse with! We were well adjusted in, though there were sudden occasional parenting surprises. Last week marked another transition in our life. A transition from a life that I was accustomed to for 730 plus straight days and nights. Nursing our little one. I thought I was ready for the kind of emotions I felt when our little one first slept without nursing, but clearly I wasn’t. I know for some women, breastfeeding wasn’t a cup of cake, and I really understand. Our bodies respond differently to so many things especially during and after pregnancy. Breastfeeding for me has been a wonderful journey. I enjoyed nursing our little one. God was gracious enough to let me nurse comfortably for 24 straight months. We asked God for that. It was our desire. So, last week, our baby turned another year older and it placed her straight onto the road of being independent. I don’t think I was ready for that. Our little girl was outgrowing our arms pretty fast. It was hard. I am still getting accustomed to my weird feelings of ‘loss’, as they find a landing place. I felt as if my heart was being ripped apart. “No more holding her close?”, “No more playing with the little fingers?”, “No more innocent gazes from her?”, “Just like that?”, my heart screamed silently. It was emotionally wrecking. I shed some tears, of joy but also of some mild sadness. Johnny was so gentle to assure me that she is well in God’s plans. He helped me transition on well, bearably, if i would say so. “This is God! She’s doing so fine love”, he said. His sincerity gave my heart some rest. As I grappled with those feelings of “loss”, as absurd as they seemed, the Lord reminded me something so special. He literally reinforced what my husband said. I could feel a quiet assurance from God, a peace that flowed deep down from my belly. A voice that kept saying “She is in my plans, let her grow up!” I knew that it was my Shepherd’s voice. See, transitioning has a way of tipping us off balance. But a transition never means loss, it means growth. You not only get planted, but get rooted, hence growth. Growth is good. Growth is important. Without growth, we wither and die. Even a seed goes through a transition to become a seedling, then becomes a tree that offers a cool shade, and finally, gives forth fruits. Our walk of faith is literally a walk of growth. We have been called to bear fruits, and that calls us to work out our salvation with fear and trembling. So how do we growth if we don’t feed on what would make us grow? How do we grow when we have conditioned ourselves to stay at a position that offers us safety but doesn’t challenge us and shape us for our destiny? Our daughter is on her journey to become a personal witness of Christ, and for that to happen, she needs to grow. I cannot keep her at my bosom forever. She needs to experience other facets of life that would widen her scope, grow her mind and train her discernment to rely on the Holy Spirit’s strength – a strength that only He can offer. Familiarity is comfortable, transition is scary, but that’s what God calls us to do every day. He calls us to a place of trust, and trust is not easy, especially when we are so used to knowing the outcome of things. So God called me again to trust in Him through this again. He has our little precious girl in His plan. It’s beautiful that I can exchange my assumptions, fears, anxieties and worries for His rest. I do not know what the future has for her, but I know the Lord of the future, and that gives my heart a rest. My only plan for her future, is to be faithful in the gift of parenting today. God disguises the divine as the mundane or ordinary – only for it to bloom into extra-ordinary in His time. God gives me His word to speak truth over my fears and uncertainties, so I can safely transition in full confidence of Him who holds her tomorrow. 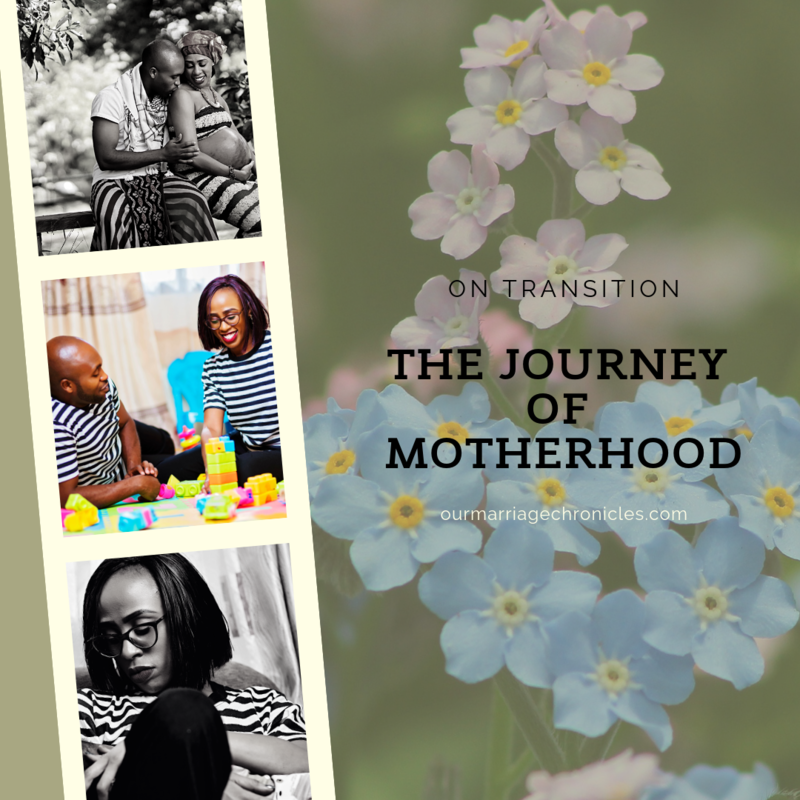 Next PostTHE JOURNEY OF MOTHERHOOD - WHY I DON'T DO "BALANCE." We are humbled Candice! Keep being blessed!